To view original post and video, click here. With no end in sight for the government shutdown, Feeding South Florida is doing what it can to help federal employees who are not getting paychecks. 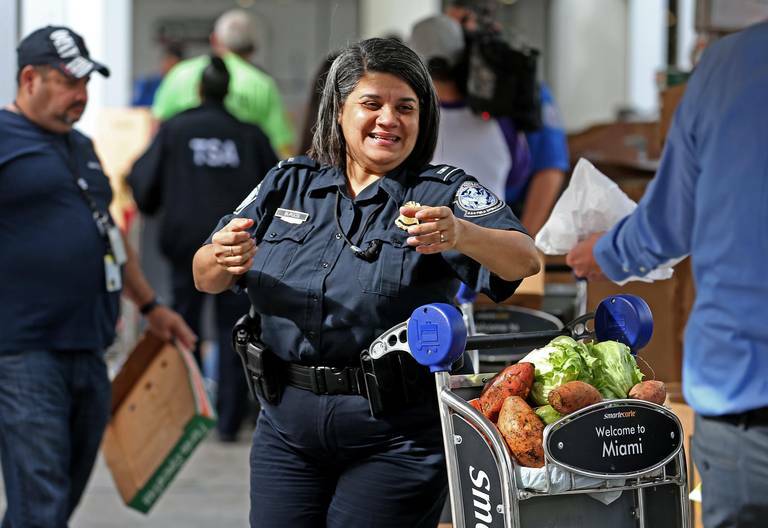 On Thursday, the non-profit food bank made two stops in Miami-Dade — one at Miami International Airport and one at the Federal Bureau of Prisons — to deliver meat, produce, hygiene items and cleaning supplies. The organization, which feeds more than 700,000 people from Palm Beach to Monroe counties, says it will continue to make deliveries to federal employees as long as the shutdown lasts.